Roy Ashton was one of the greatest make up artists to have his work presented on the big screen, working for great Bristish institutions such as Hammer and Amicus. Although well revered for his work on Hammer Films in the 50's and 60's Roy only worked freelance and was never a direct employee of Hammer or Amicus. Thus Roy retained ownership of his designs and they have since been registered with the Design and Artists Copywright Society. 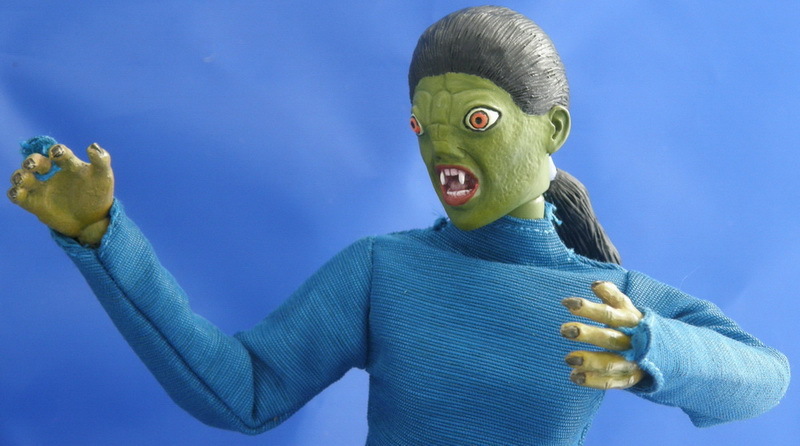 In 1966 Hammer Films wanted to create a new look in horror films. 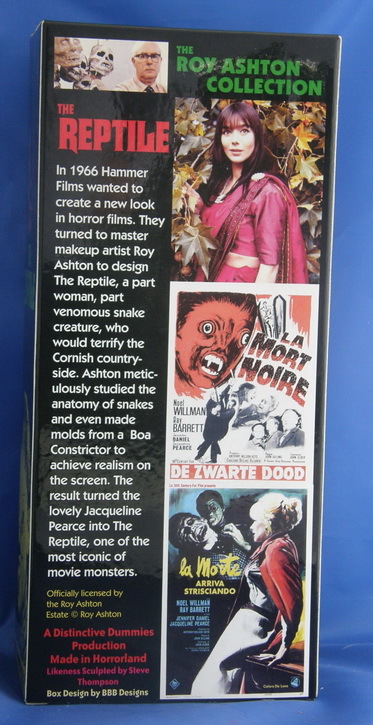 They turned to master make up artist Roy Ashton to design The Reptile, a part woman, part venemous snake creature, who would terrify the Cornish countryside. 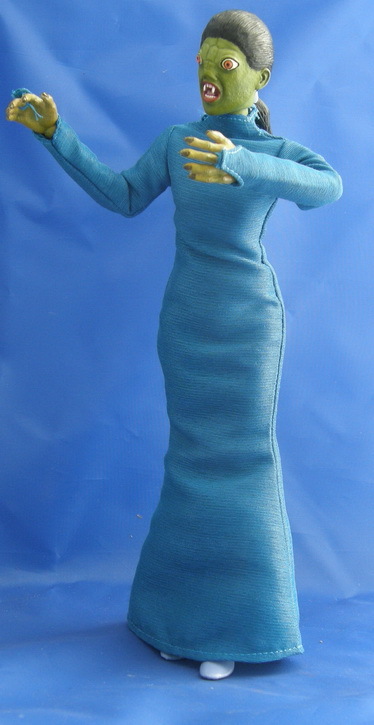 Ashton meticulously studied the anatomy of snakes and even made molds from a Boa Constrictor to achieve realism on the screen.The result turned the lovely Jaqueline Pearce into The Reptile, one of the most iconic of movie monsters.